Hey everyone!! Happy Monday! Today I come to you with an amazing GIVEAWAY. You can enter to WIN one of 5 copies of my new eCookbook and ONE lucky winner will receive a $50 Amazon e-gift card too! Did you see my eCookbook announcement last week? My first ebook, Crazy for Basic Dessert Recipes, is available for PRE-SALE now on Amazon. It will be available for download on Amazon and in PDF form on May 31. I’m so excited! 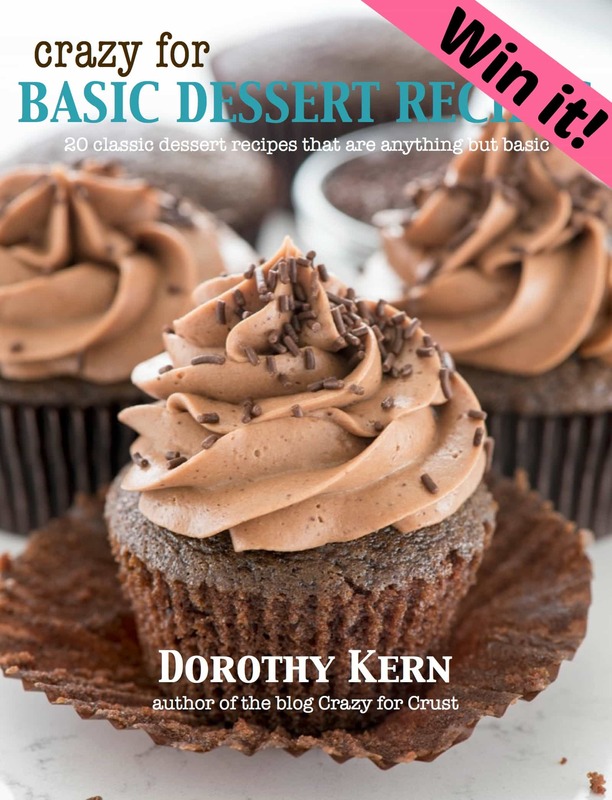 You can find out ALL about Crazy for Basic Dessert Recipes: 20 Classic Recipes That Are Anything But Basic here. Or PRE-ORDER HERE. There is ONE WEEK until the official release and I want to celebrate by doing a GIVEAWAY! FIVE (5) lucky readers will win a PDF version of my new eCookbook and ONE (1) lucky reader will win a PDF eCookbook AND a $50 Amazon eGiftCard!!! With that gift card you can be well on your way to building your Basics Kitchen, for which I’ve included a free printable in the book! Five (5) winners will get a PDF copy of my eCookbook, Crazy for Basic Dessert Recipes, emailed to them. 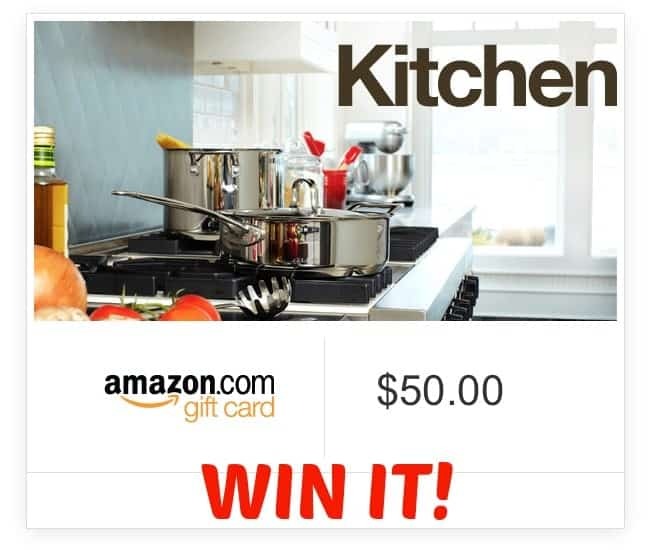 One (1) winner will get a PDF copy of my eCookbook, Crazy for Basic Dessert Recipes, emailed to them AND win a $50 Amazon eGiftCard that can be used online at Amazon.com and will be sent via email. You must be 18 years or older to enter and win. Open to anyone anywhere who can receive email and shop on Amazon.com. Giveaway runs from May 23, 2016 through May 30, 2016. You must enter via the rafflecopter form below. All details, rules, and restrictions are in the form. Winner will be chosen randomly via the rafflecopter form and contacted via the email address they use to enter. This may be your Facebook email address, so be sure to check it. This contest is not sponsored by Facebook, Pinterest, Instagram, or Twitter. No purchase necessary to enter or win, void where prohibited. Good luck! Datevitation: The Perfect Gift for Any Occasion! Would love to win! Thanks for the offer!! Hello my name is Judy, I have a cookbook addiction. I love cookbooks, I love trying new recipes and comparing my masterpiece to the photo showing. Not to brag, okay a little, I do pretty good.